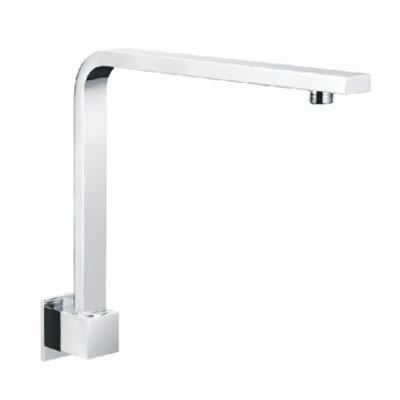 The Square Hi-Rise Shower Arm is an absolute essential when it comes to bathroom tapware. It features a simplistic, yet highly functional design whilst still being very affordable. It’s the perfect choice for installation both in new homes and in bathroom renovations. And, it can easily be installed in any bathroom space. The Square Hi-Rise Shower Arm features a well thought out, ergonomic design and is incredibly easy to use. 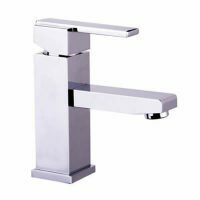 It is equipped with a solid lever handle which can be operated with one hand. 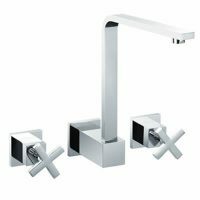 It is available in a modern chrome finish, which is designed to withstand the rigours of daily bathroom usage. This is a superior grade product that will offer many years of service. 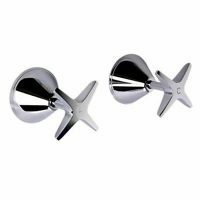 It features solid brass construction and is manufactured to the highest standards of quality. It meets all Australian standards of quality and is an approved product. To add a modern touch to your bathroom at a budget friendly price, choose the Square Hi-Rise Shower Arm. Purchase this product today at the lowest price in Perth from Ross’s Discount Home Centre and avail of our 14-day money back guarantee!